New boys Dylan and Nathan have certainly adapted well to life here at Yorkshire Loft Ladders. Here’s a lovely job they completed last Thursday for Jeanette in Middleton on the Wolds (between Driffield & Market Weighton). 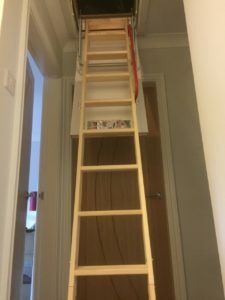 Deluxe Wooden Ladder and 150 sq ft of boarding and the loft is transformed. Note the woodwork round the hatch in the loft and the lovely neat architrave. Very nice! Yorkshire Loft Ladders started in 2015 and as the names suggests we cover the whole of Yorkshire. 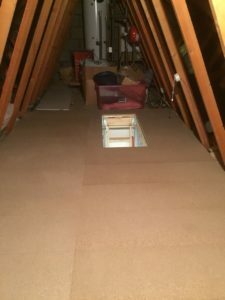 We specialise in turning your loft into a well-lit, easily-accessed and boarded storage space – somewhere you can safely keep your valued possessions, suitcases or Christmas decorations! 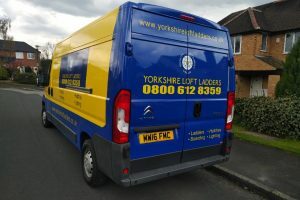 Yorkshire Loft Ladders install loft ladders, boards and lights cleanly, quickly and efficiently – all in less than a day! 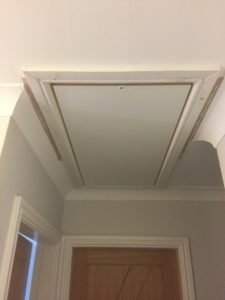 We can create a new loft hatch and we can recommend from a range of loft ladders depending on your requirements at prices YOU can afford. Yorkshire Loft Ladders have installed over 2000 loft packages in many local homes across Yorkshire. We come to your home and carry out a free technical survey to provide you with a no obligation quote. 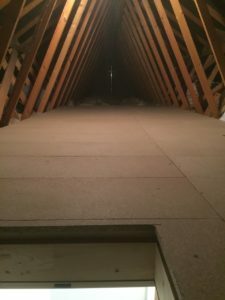 We understand what you wish to use your loft space for and will recommend to you the most suitable and cost effective solution. After that its up to you – no hassle from us just a highly competitive transparent quotation. Remember, our packages start at just £277 + VAT which includes a 2 section loft ladder, 50 sq ft of boarding and a light. All fitted by our time served tradesmen so you can be assured that, whatever your requirements. We can deliver the Quality, Integrity and Value you should expect when someone works in your home.